Each week for 26 weeks, I am publishing a post about women who are not widely known but should be—women who can inspire us, teach us, and encourage us to get out of our comfort zones and reach for our dreams. Week 20 of my A to Z challenge introduces us to Tania León. When I began researching women whose name began with a T for my A to Z Challenge, I paused when I came upon Tania León, because I had never heard of her. How is that possible? Yet another amazing woman whose story I did not know. As soon as I began reading about her incredible journey, I knew it was a story I had to share. Tania Justina León was born in May of 1943 in Havana, Cuba. Her parents, Oscar and Dora, were of mixed heritage, which provided Tania with exposure to a variety of cultural influences. It didn’t take long for her family to recognize her musical talent, and when Tania was five years old they pooled all of their resources to purchase a piano for her. She took piano lessons at the Carlos Alfredo Peyrellade Conservatory, and later pursued a formal education there, receiving degrees in solfège and theory in 1961, and in piano in 1963. Studying Cuban music was a key piece of her training: “You know, one of the things that I believe…happens in the smaller countries is that those that become their classics are really nourished…It’s some kind of cultural pride to understand or know what can happen with the local music in all spheres, not only in the popular, but in what we term the serious music…So therefore, for us to study Chopin and to study [Ernesto] Lecuona, it was on equal terms” (qtd. in Spinazzola 2). She eventually earned a Masters degree in Education from the National Conservatory in Havana in 1964 (Spinazzola 2). Tania remained in Cuba for two more years, beginning a career as a concert pianist while also obtaining a degree in accounting and business administration. 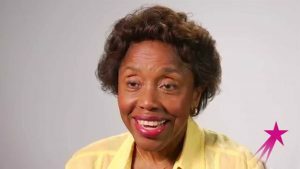 When she was given the opportunity to take a Freedom Flight to Miami in 1967, she left her homeland, and eventually found her way to New York City. After continuing her career as a concert pianist in New York, she made the difficult decision to stop performing and to turn to conducting instead. 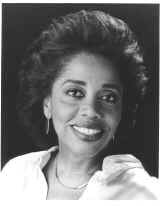 During an eleven year career with the Dance Theatre of Harlem, she worked as a pianist, conductor and composer. There is not room enough in a blog post to include all of her achievements. While she made a concerted effort to find her own compositional voice and separate herself from her heritage, she had a change of heart during a final conversation with her father before his death, in which he shared with her that while he had heard a recording of her music, he could not hear her within the composition. In 1979 she visited Cuba: “I felt an explosion inside of me…and I felt the sounds of my environment, the sounds of my childhood, starting to come back to me” (qtd. in Spinazzola 4). Her unique style soon brought her national attention in the US, and the rest is history: “In 1998 León earned the New York Governor’s Lifetime Achievement Award, and in the same year held the Fromm Residency at the American Academy in Rome. Other awards include those from the American Academy of Arts and Letters, the National Endowment for the Arts, Chamber Music America, the Lila Wallace/Reader’s Digest Fund, ASCAP, the Koussevitzky Foundation, the National Women’s History Project, the Coalition of 100 Black Women, and the Nathan Cummings Foundation. In 2004, she was featured in a Composer Portrait concert at Columbia University’s Miller Theatre. She holds honorary doctorates from Colgate University and Oberlin College, has been Visiting Lecturer at Harvard University and the Musikschule in Hamburg, Visiting Professor at Yale University, the Karel Husa Visiting Professor of Composition at Ithaca College (1997-98), and Visiting Professor at the University of Michigan (2005). In 2000 she was named Claire and Leonard Tow Professor at Brooklyn College, where she has taught since 1985. In 2006, she was awarded the rank of Distinguished Professor by the City University of New York board of trustees” (Spinazzola 6). While she does not often speak of the challenges she faced along her journey, she did address issues of race and gender in one interview given to Ebony magazine: “It’s not common for a woman of my skin color to conduct serious music, so I have to know the score inside-out, or work twice as hard as male conductors” (std. in Spinazzola 9). Yet she does not accept the labels other try to place upon her: “I am tired of all our labels…I am not a feminist, am not a black conductor, and am not a woman conductor. I am nothing that the people want to call me. They do not know who I am. The fact that I am using this physical costume does not describe my energy, does not describe my entity…. I speak with an accent, so my music might have an accent, which might not be understood by many people. And if the accent has to…be roots or folklore or whatever you want to call it at some point, fine. That’s okay…That’s how I define this type of situation. I think that labels – going back to the Afro-Cuban thing – is selling short what the whole thing is about” (qtd. in Spinazzola 10-11). 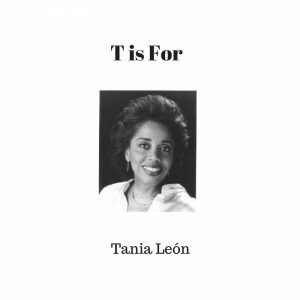 T is for Tania León, pianist, composer, conductor, and musician extraordinaire. Spinazzola, James M. AN INTRODUCTION TO THE MUSIC OF TANIA LEÓN AND A CONDUCTOR’S ANALYSIS OF INDIGENA. A Monograph. Louisiana State University, 2006.